UPC & QR Codes • Enterprise Label, Inc.
UPC and QR Codes can help make you and your customer’s life easier, but only if printed with the necessary care and technology. We have years of experience printing UPC and QR Codes, and we can ensure that your codes will be overlaid cleanly and properly on your unique item. Our state-of-the-art printing technologies are capable of four color processing and we can print up to 6 Spot Colors. 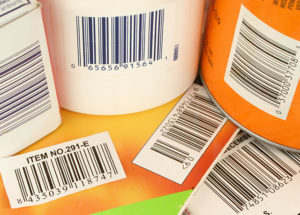 With consecutive barcoding, silk screening, and thermal transfer as well as direct thermal technologies, we can ensure that your UPC and QR codes will print cleanly and smoothly. We can also print your UPC and QR codes onto any grand format decals, banners, and signs!